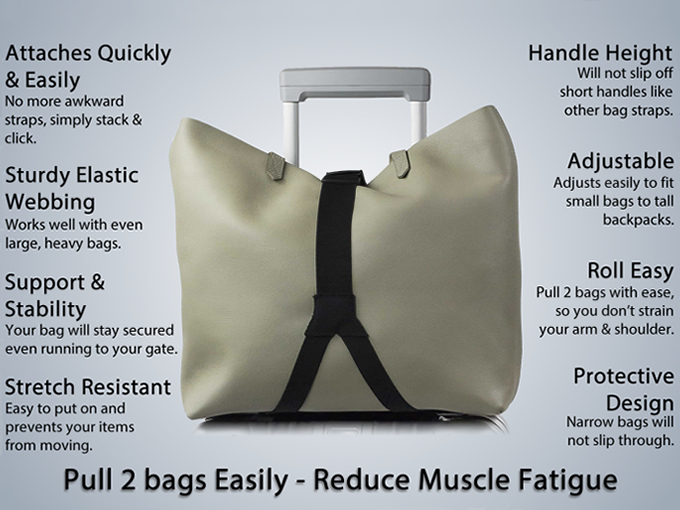 Quickly access your items on the go and secure a 2nd bag to your rolling luggage. TSA optimized. Designed to help you pull multiple bags with ease, while keeping your essential items organized and accessible on the go! 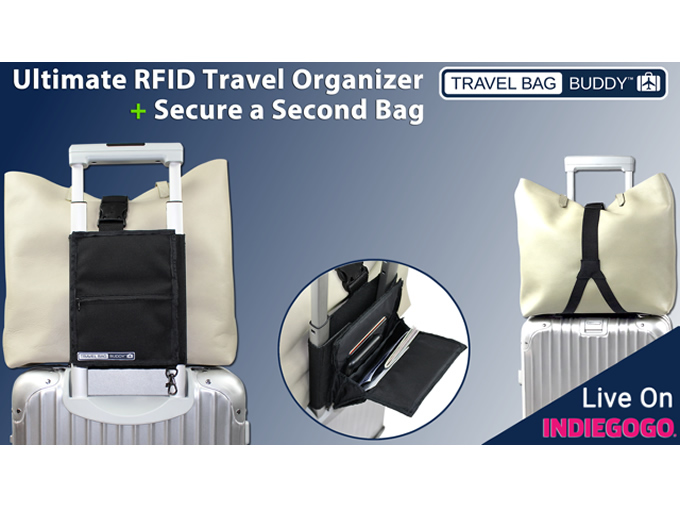 The RFID organizer stays attached to your secondary bag as you go through airport security, so you don't leave anything behind. Simply place your items in the organizer & reattach your secondary bag in seconds when done.